Home coverFX CoverFX Brand Ambassador & Huge Giveaway! I've got some really exciting news. I have recently been named a CoverFX Brand Ambassador for 2014! I am so honored and I'm just ecstatic to be a part of this amazing brand's team. So what does this mean for you? Tons of giveaways, tutorials, and tips and tricks on how to use this awesome brand. This includes a huge giveaway to celebrate the announcement Check it out! I've always been a fan of CoverFX. I first heard about them back in 2009 when they appeared on YouTube scene and at the IMATS LA Show. Since then i've used the brand consistently in my kit and my own makeup bag. 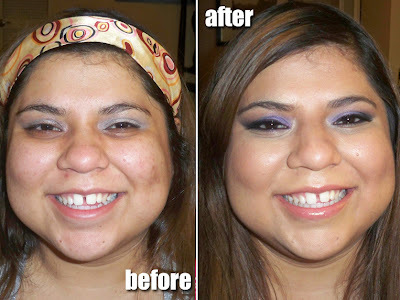 Here's a shot of a makeover from 2010 where I used CoverFX to totally transform the skin. I have always been in love with their Total Cover Cream foundation - it's amazing for coverage - a foundation and concealer in one! Here's another shot of me from back in the day rocking CoverFX tinted moisturizer - you know this is a throwback because of my blond hair! Another one of my favorites from CoverFX is their Illuminating Powder to set their foundations. Seriously, this stuff makes your skin glow! I'm so excited about this partnership. I get to tell you guys about all the new product launches that CoverFX has coming up this year. Plus there will be tons of giveaways - i'm getting exciting just thinking about it! Today, I'm giving ten lucky winners the opportunity to try out Cover FX's Total Cover Cream Foundation, yay! This is my go-to-foundation for when I want a flawless look. I especially love wearing it out at night to the club because I feel so fierce wearing it and I'll take all the help I can get it as I'm entering my 3rd decade of life lol. Take the shade quiz - Winners will email me their shipping info and shade. I especially recommend you visit the site to take a quiz to find your perfect foundation shade and products. I've gone to the site multiple times over the years to make sure I find my match. I also highly encourage you all to follow @CoverFX on social media. They are so helpful in answering questions about their products and helping you find what's right for you. FTC Disclosure: I am a brand ambassador for CoverFX. This post is sponsored by the brand and I am being compensated for this post. 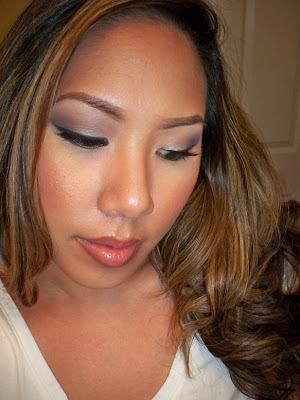 G50 cream foundation is the perfect shade for me. I'd like to win because I have rosacea and hyperpigmentation. I'm also entering my third decade and I want my skin to look as fabulous as it was 10 years ago. Congratulations! and Thanks for the great giveaway! G20 looks to be perfect for me. Been a While tHat I wanna try these products. Thanks for the contest! I've heard great things about this brand. Would love to try it!! I'm now in my 5th decade and definitely need more help to achieve that flawless look. Would love to try this product. I want to win because I just tested out Cover Fx cream foundation in M40 today & by far, this is the only foundation/concealer that (i) can actually cover my very dark acne scars, (ii) that actually lasts on my skin and (iii) that actually matches my super, super, super yellow skin tone (M40). You have no idea how many brands & products I've tried. I feel like today is truly my super lucky day because I found finally found my dream product - Cover Fx. I can't get over how real this is. Yeah! 2 thumbs up for Cover Fx. Wow! Skin looks so flawless. I'd like to win b/c I have acne marks and would like a try the coverfx foundation. My shade is N10. These products look amazing! Congrats! I'd like to win because I have a lot of hyper pigmentagion near my mouth & cheek are. Most foundations leave me looking ashy or with a bluish hue underneath. Its kinda embarrassing, I'd like to try cover FX to see it that can help me with these flaws. My shade is G60. I WOULD LOVE TO WIN BECAUSE I NEVER EVER TRIED THIS BRAND BEFORE AND I EVER SO MANY GREAT THINGS ABOUT IT! I WANT TO FINALLY BE ABLE TO HAVE A FLAWLESS BEAT FACE WITHOUT ALWAYS HAVING TO USE A CONCEALER AND THEN MY MEDIUM TO FULL COVERAGE FOUNDATION! THIS WOULD BE USED FOR BOTH AND BE AMAZING TO COVER MY BLEMISHES/HYPERPIGMENTATION THAT IS HAVE GOTTEN FROM MY BREAKOUTS BECAUSE I SUFFER FROM ECZEMA! Congrats! I'd like to win because I'm in the market for a new foundation and Cover FX was always a brand I have wanted to try. My shade is G40. Id love to win to have flawless skin and I can use all the help I can get as I'm approaching 33 lol! My shade is G40, and congrats!